The Packaged Translators are made of a modular or board drive with a power supply. The frontpanel contains switches for a manual control like step and run. On the rear of the unit a terminal strip is available to use remote inputs for all control functions. ST101 Packaged translator with inside the STM101 and a 24 vdc power supply. Control buttons on the front. ST103 Packaged translator with inside the STM103 and a 24 vdc power supply. Control buttons on the front. ST105 Packaged translator with inside the TBM105 and a variable dc power supply. Control buttons on the front. 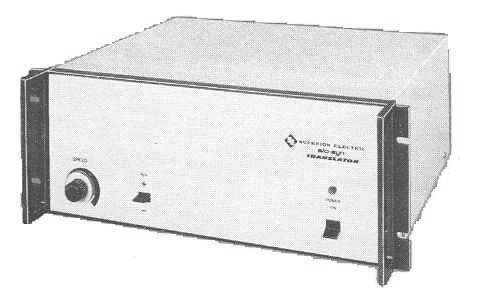 SB105 Packaged Buffered Translator with inside the BUF105 and a variable dc power supply. Control buttons on the front. SLO-SYN Power Supplies types MPS3000 and MPS3000X have voltage and current ratings compatible with the STM 101 and STM 103 translator modules and the PIM151 and PIM153 preset indexer modules. The power supplies are of open chassis construction and are designed for base mounting. Provisions are made on the chassis for mounting the control module to form a single unit combining both the power supply and the stepping motor control. If desired, the translator or preset indexer module can be mounted separate from the power supply. Terminals are provided for making all a-c input, d-c output and motor connections at the power supply. There was also an MPS1000 model. This one had a maximum current of 6 amps. 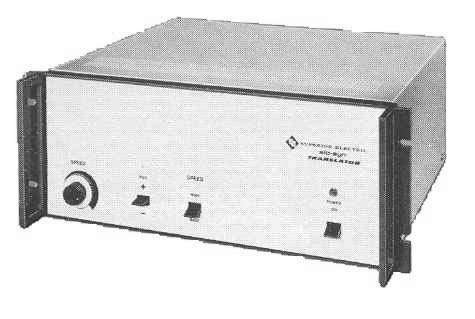 After some time it went out of production in favor of the MPS3000, the 10 amp model. The type number can be followed by a "A", "B" and / or "X". 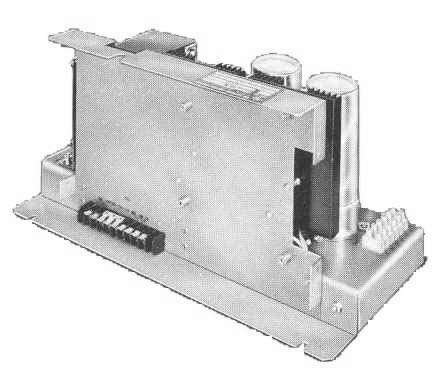 The first series had a triac controlled voltage regulator for the 24 vdc. This model had no letter, or the "A". Then the "B" model was made, these uses a ferroresonance regulator to obtain a constant 24 vdc. This is frequency dependent. The 60 Hz (no X) and the 50 Hz (with X) are not interchangeable.